In 2014, Democrats can’t rely on many kooky right-wingers handing them Senate races on platters. The Tea Party—the collective name for a wide range of right-wing activist groups, well-funded Washington-based organizations and local radicals—is not doing well in 2014, and that portends ill for would-be 2016 presidential candidates in the Republican Party who intend to rely on Tea Party support against more establishment-backed candidates. Still, in the GOP’s base, the Tea Party is the most passionate, fired-up (Benghazi! IRS! Obamacare!) part of the party, giving it an outsized influence—especially in Republican primary contests. But it’s precisely in those contests where, in 2014, the Tea Party is losing big. Figuring out how strong is the amorphous entity called “the Tea Party” is not easy. One can’t join it officially, for the most part, and paradoxically (for pollsters) some people who support the Tea Party ideologically and in their voting patterns may not consider themselves members or supporters when asked by a pollster. According to a recent Gallup poll, 41 percent of Republicans consider themselves “supporters” of the Tea Party—but that’s down sharply from 61 percent in 2010. (Nationally, among all voters, support for the Tea Party stands at 22 percent, down from a high of 32 percent in 2010.) And, according to Gallup, Tea Party types are far more focused on the traditionally low turnout primary elections in 2014 and on the general election later this year, with 52 percent of Tea Partiers saying that they are “enthusiastic” about 2014, compared to just 35 percent of “all other Republicans.” So, in theory at least, the Tea Party is poised to have a big influence on this year’s GOP vote. So far, however, anti-establishment Tea Party candidates haven’t won a single major statewide race in GOP primaries, including their big loss in North Carolina to a more traditionally minded, establishment-backed right-winger last week. Various other polls, including NBC News/Marist, New York Times Upshot/Kaiser Family Foundation and The Atlanta Journal-Constitution have all shown evidence of Tea Party weakness and the strength of the Chamber of Commerce–oriented, Karl Rove–backed, Wall Street–linked GOP establishment. The AJC poll showed, in particular, that the Tea Party isn’t likely to win in Georgia, where the Democrats might have a shot at picking up a Senate seat, especially in the Republican candidate is a Tea Partier. The Washington Post, reporting on the polls, says that they “confirm an emerging trend of the 2014 primary season: the Republican establishment has the upper hand over the tea party.” And the Post adds that where the Tea Party has strength, it’s in states that don’t really matter in a presidential contest: Mississippi, Oklahoma, Kansas and Nebraska. We are not million-dollar Washington, DC special interest groups with strong ties to Capitol Hill. We are simply Nebraskans who are fed up. … We were not consulted, polled or contacted by these Washington, DC groups. The Times provides a series of missteps and hilarious errors by far-right conservatives in race after race, contributing to the alienation of local activists. Sasse enjoys support from the Club for Growth, Tea Party Patriots and other major conservative organizations, as well as former Alaska Gov. Sarah Palin, Texas GOP Sen. Ted Cruz, and Utah GOP Sen. Mike Lee, who have recently joined him on the campaign trail. But there are two other candidates in the Nebraska race, including Sid Dinsdale, a dark-horse banker who’s making a late push. 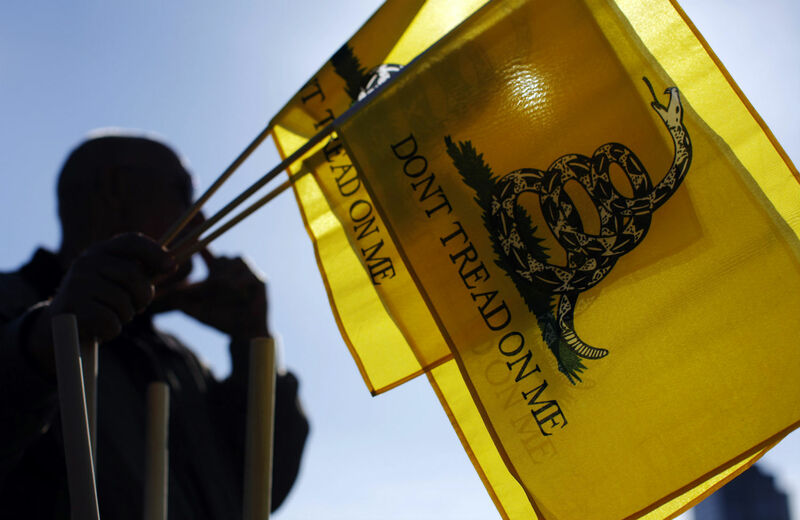 The Christian Science Monitor provides a list of the potential top ten Tea Party candidates who’ve competed in 2014. The places where the Tea Partiers have the best shot, though often as underdogs, include Mississippi, where a Tea Party type is challenging long-time Republican Senator Thad Cochran in a June 3 vote. In states like Kentucky, where the Tea Party candidate is pitted against Mitch McConnell, the challenge is more quixotic. The five-way Republican Senate primary has revealed an unusual test case for the conservative wing of the Republican party. What happens when the top candidates in the race are all conservative enough to win a fraction of support from the tea party, but one is anointed the choice of outside groups from the Beltway? In Nebraska, the traditional labels of “establishment” and “tea party” are blurring so much that some Nebraska GOP voters are dubious as to why the national conservative groups felt the need to get involved in the race at all. Some voters in the state say the race is a perfect example of how the national tea party has lost touch with the grass roots supporters who helped them rise to power. In recent months, media reports have shown many groups are spending more money on their infrastructure than on candidate who can further their causes in Congress. As a result of all the confusion, it isn’t clear whether or not a Sasse win in Nebraska will be seen as a Tea Party win, since Tea Party factions (including FreedomWorks) are on all sides.